By 2019-2020, the American Legion Auxiliary’s million members will be making a difference for veterans and their families in every neighborhood. In the spirit of Service, not Self, the mission of the American Legion Auxiliary is to support The American Legion and Honor the sacrifice of those who serve by enhancing the lives of our veterans, military, and their families, both at home and abroad. For God and Country, we advocate for veterans, educate our citizens, mentor our youth, and promote patriotism, good citizenship, peace and security. • Adherence to adopted policies and roles. 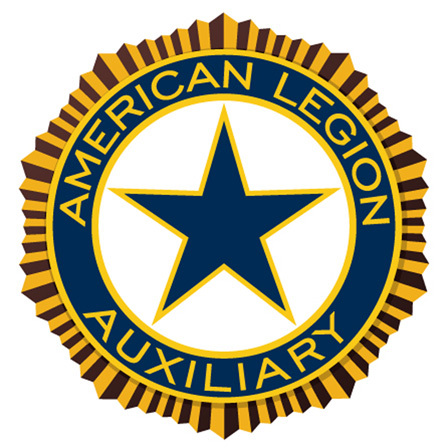 A strategic plan sets the direction for moving the American Legion Auxiliary(ALA) ahead over multiple years, usually a 5-year period of time. Your department strategic plan will help your department fulfill the ALA mission in a way that is meaningful and rewarding for new and renewing members. The national ALA Centennial Strategic Plan has been developed, and the 5 goals of the national strategic plan have been approved by the National Executive Committee (NEC). Why does our department/district/unit need a strategic plan? As the needs of our veterans and their families continue to grow, our membership continues to decline. The AMerican Legion Auxiliary is needed, and yet there is a threat that we won’t be around in 30 years if we do not start planning beyond the next installation of officers. Your annual programs plan and/or your department action plan cover the work that is done at the hands-on, mission out-reach level during a 12-month period (an ALA administrative year) Using the ALA national strategic plan as a guideline, your department’s strategic plan will address the bigger issues of growing the membership, being a welcoming organization, developing effective leaders, strengthening districts and units, and increasing awareness of the ALA; these long-range issues take continued, focused efforts over several years. • Goals - broad statements of what an organization hopes to achieve. • Strategies - statements that describe how you will achieve your goals. • Initiatives - specific projects, programs, and activities that activate strategies so that goals can be achieved. What resources are available to us to create a strategic plan for our District/Unit? Your strategic plan can be simple and brief, while still producing dramatic results in your work to serve veterans, our military and their families. Who should create the plan? Your strategic planning process will be led by a strategic planning committee or a Strategic Plan Team. The strategic Plan committee is a special committee, so it is not restricted to the rules in your department governing documents about standing or program committees. A strategic planning committee can have members and non-members serving on the committee and for multiple years as approved by your DEC. Annual appointing all new members to serve only a single year on the committee is counterproductive to the process of establishing a long range, multi-year strategic plan. To begin the work of this committee, your Executive Committee will need to adopt a resolution that affirms your district’s to establish a multi-year strategic and to charge a Strategic Plan Committee with this task. The ideal Strategic Plan Committee will be a 5-7 member team that serves a 5 year appointment. Each member can be appointed to a staggered term of several years to avoid turnover of all committee members in one year. • People with experiences in various areas, membership, finance, programs, marketing and branding, etc. When considering the make-up of your strategic plan committee, don’t be restricted in appointing members to serve on your Strategic Planning Committee or Team should your bylaws state that leaders can serve only in one position or that they may serve only one year. Bylaws address appointed positions to standing committees or annual positions as may be listed in the Constitution and Bylaws and Standing Rules. A strategic planning committee is a special committee. Special committees are indeed “special”, turned as such because they serve a unique purpose and require distinct talents and expertise needed for that special omitted to adequately fulfill its purpose. In addition to the president’s appointments to standing committees and recurring leadership positions, any president or governing board can establish a special committee. Appointments to special committees are aside from regular appointments and are not restricted to the rules in governing documents that limit the number of standing or designated appointments a person may serve simultaneously. It may be helpful to think beyond current ALA members to serve on the committee. For example, you may want to add a Legionnaire, non member who has experience in strategic planning or even someone from a neighboring district/unit who has completed the strategic planning process. The vision, mission, core values and goals have been written and voted on so they are already written for you! You should develop 3-6 strategies per goal outlined. Then you create your initiatives, which are the steps to achieve the strategies and ultimately the goals of the plan. Remember: An initiative doesn’t have to be new - it can be something you are already doing in your district/unit that aligns well with the goals and strategies of your plan. How do we implement our plan? Your governing board needs to vote to adopt the vision and and strategic plan goals. The National Executive Committee has already adopted the mission and 5 goals for the national organization. You can modify these to create your own vision and goals or you can leave them alone. Remember: The board approves only the vision and strategic plan goals, not the strategies or initiatives. Why? The vision and goals last throughout the life of the strategic plan. The strategies and initiatives can be changed by the Strategic Planning Committee or Team as needed, either because they are completed or because as you work on strategies, you realize some may need to be modified, combined or removed in order for a goal to be achieved. Your strategic plan needs to be an active plan - a document that your district/unit leadership uses monthly to guide the work of your members. 1. Overall landscape: membership organizations across the spectrum are experiencing declining membership. People have less discretionary time today and exponentially more opportunities for spending their precious “free” time. 2. People belong to an organization for one of 2 reasons- pride or personal fulfillment. Either. They are personally fulfilled by their involvement, or they are so proud of what they see the organization doing that they want to be affiliated with it. 5. ALA has a great mission and purpose, yet market research confirms that people don’t know who we are, let alone what we do or why we matter. 6. ALA has targeted a goal of 1 million members for many decades; has never hit the target. ALA Membership was highest in 1995 (982,125) - our 75th anniversary; has been on a decline since except for a slight increase right after the attacks of September 11, 2001. The million member goal for 2019/2020 is Goal one in the new ALA Strategic plan. 7. We’re aging and diminishing. The average age of an ALA member is steadily increasing - now 60. The number of members under age 50 is decreasing with the biggest drop in those 40-49. Currently only 39% of members are under 60, only 21% under 50. Our overall membership numbers are steadily decreasing. 8. Past efforts to grow membership have not worked. Over the years the ALA has invested a great deal of time and effort toward increasing membership: joint meetings with the Legion; a 2010 Strategic Plan initiative; Members survey; a Leadership toolkit that emphasizes membership and countless workshops, bulletins, newsletters and awards to motivate and incentivize membership growth. There have also been countless annual membership themes and goals to grow membership. 9. ALA’s biggest loss of members are new members who don’t renew after the second or third year - about 27% who “drop out” after 2 years, over 40% drop out after 3 years; we actually increased the number of new members in 2013 over 2012 - the annual dues increase did not stifle attaining new members. 10. Bottom line: Doing things the American Legion Auxiliary has been doing is not resulting in membership growth. The American Legion Auxiliary is at a crossroads. Last year WITH a national dues increase, we experienced an increase in new members, but are grappling with the reality that every year 10% of those newer members do not renew their memberships. We know the importance of the ALA. We know that membership is an exclusive privilege based on our personal family relationship to a wartime veteran. We know our mission is needed now more that ever. We must come up with a plan to honor those whose sacrifices make us eligible to be proud members of the ALA. We must come up with a plan for sharing who we are, what we do, and why we matter tot he estimated 6 million women eligible right now to become members of the American Legion Auxiliary. Four Generations in the Workplace: who are they? What do They Want? And why cant we all just get along? Born before 1946. At least 72 and older. Veterans have a very strong work ethic: “Just git’er done” could be their motto. Give an impossible to a Veteran and someway it will get done. Most have served in the military or been married to someone who did. As a result, Veterans tend to be very respectful of seniority, title and rank. Because their world outlook was shaped by The Great Depression and World War II, Veterans have a very practical outlook (make do, reuse, recycle) and know how to put money away for a rainy day. Born between 1946 and 1964. Age 72 - 54. Baby boomers invented the 60 hour work week. They are competitive to their own detriment at times with a “work-til-you-drop” work ethic. They have a history of turning endings into beginnings. Now entering traditional retirement age, they have no plans for porches, rocking chairs, or seats at bingo tables. Retirement is not the end of a career but the start of a career transition. They are optimistic about their own lives - they believe that if you set goals and work hard, you can achieve whatever you set out to do. Boomers have less respect for rank and hierarchy than their predecessors but still respect the hierarchy of leadership, especially when they can be a part of it. They set long-term goals and have the “no pain-no gain” attitude to set them through. Born between 1980 and 2000. Age 38-18. Gen Ys are very entrepreneurial. Most worked legitimate jobs before they left high school. Gen Ys are technology savvy. They’ve never known a world without mobile devices and 24/7 connectivity. They see themselves as citizens of the world and feel very connected through the internet. Gen Ys can fly to Europe to visit friends and family as easily as Veterans and Boomers crossed state lines. They have better relationships with their parents than many Gen X and Boomers, and have a strong interest in teamwork (although they define “team” differently than Boomers and Xers). And despite an ongoing debate about the human ability to multi-task, they seem to be creating a new frontier for juggling multiple activities simultaneously.